Back in February we decided that Green is the New Black. 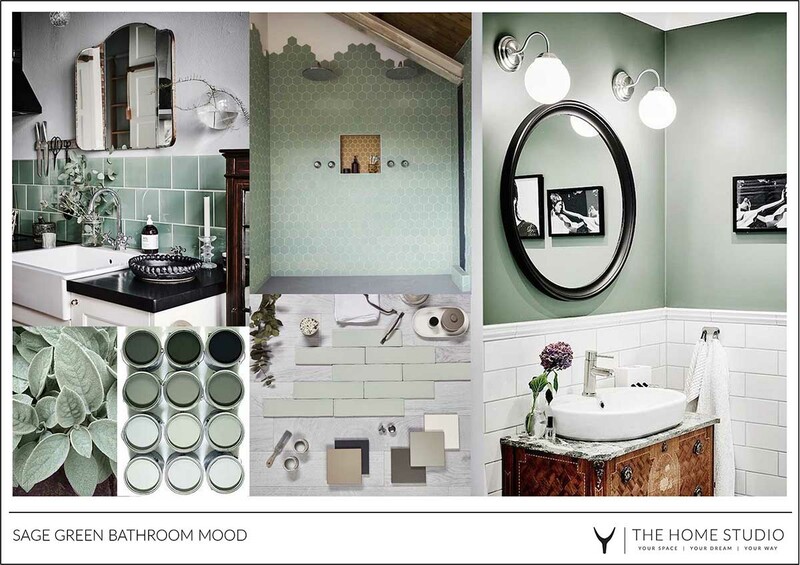 As one of the fastest growing searches on Pinterest, sage green is being considered the new ‘neutral’. Thanks to its versatility you’ll find it used in living rooms, kitchens, bathrooms and restaurants. We think you’ll agree it looks beautiful in any setting! 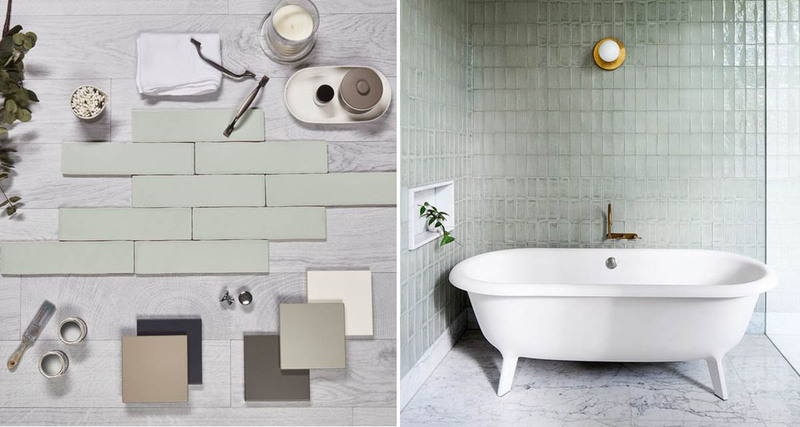 For our current bathroom makeover we are going to be painting all the walls a deep sage green, but if you’re starting from scratch we love the modern take on green bathroom tiles – especially hexagonal shaped tiles as seen in the moodboard below. For a sophisticated modern feeling we particularly love bringing in black or gold accents, complimented with natural wood elements to round off the space.